In November, a team from Encompass attended the Law Society AML and Financial Crime Conference in London. It was a truly insightful event, with many key industry topics covered. For me, there were five big learnings from the day. There was a lot of discussion during the day on Politically Exposed Persons (PEPs) and the impact they can have if onboarded by law firms. The danger of Politically Exposed Persons should not be overlooked by companies when onboarding clients regardless of the sector they are in, and it was good to see that there was a real focus on the identification of PEPs, both domestically and overseas. One area that we felt was particularly pertinent was a clarification in the difference between PEPs from the UK, and those based abroad. A question that was raised more than once, is whether firms are asking the right questions when onboarding clients? With the introduction of the 4th Money Laundering Directive in mid-2017, domestic PEPs will be treated as the same as PEPs from abroad. For those involved in the onboarding process, this will mean that enhanced due diligence will apply. Senior management should then be involved in the sign-off process, with a risk based approach taken before proceeding. Concerningly however, nearly 50% of those present admitted that they didn’t have the systems available to check for PEP sanctions and adverse news. The Law Society further warned that it was not enough just to be reliant on Google for information. There was also concern from those present that when clients from overseas were onboarded and were flagged as a potential PEP that there was not enough understanding of where their source of income is coming from. It is of huge concern if clients are being onboarded with little or no knowledge of where their source of wealth is derived from and what it is being used for. Another issue that was given prominence on the day was the use and role of Suspicious Activity Reports (SARs). The use of SARs has skyrocketed in recent years, with more than 1000 a day being submitted by the legal and financial services sectors to the National Crime Agency (NCA), representing a 9% rise on 2015 rates. Despite this, the National Crime Agency, Law Society and Her Majesty’s Treasury are concerned about the quantity and quality of many of the SARs that are submitted. In such a burgeoning sector, they feel that there should be more submitted by lawyers, and they should be of a much higher quality. Interestingly, the vast majority of SARs are being submitted by the financial services sector, with only about 17% emanating from the legal profession. This suggests that awareness amongst financial services companies is much higher, with threats of fines from the FCA being more substantial. That said, SARs that come from the legal sector tend to be more complex than those from other industries. The National Crime Agency has however, rejected this argument stating that more thorough checks should be made during the onboarding stage. There is no doubt that SARs ultimately have a part to play in the fight against those engaged in AML/CTF activities. In the last year, as a direct result of SARs reported to the National Crime Agency, a total of £43m was recovered. The role of SARs will be further impacted by the impending 4th Money Laundering Directive next year. This directive highlights how front line services, such as legal and financial, are viewed as the gatekeepers in identifying fraudulent transactions or money launderers as these services view the entire data trail. Despite this, there is a drive to try and improve the quality of SARs, with an obligation on the reporter to provide more information from the outset. This will clearly have huge repercussions for firms that operate a zero-tolerance approach to SARs and file them with little basis for suspicion. There has been a number of reasons for the poor quality of SARs. Findings from the SARs regime review of 2016 revealed that legacy IT systems remain an issue, with problems in downtime and investigating SARs further also problematic. Also noted was the reliance on manual entry and keyword searches which increased the risk of missing potential intelligence links. There was a real sense that although law firms and solicitors haven’t been penalised to date for failures in AML/CTF compliance, this will almost certainly change in the future. The NCA is becoming more hands-on and banks who report SARs, are then furnishing the NCA with information on parties involved including professional services companies and lawyers and accountants. There is now a greater likelihood than ever that Partners and MLROs will be brought into investigations. If they can’t prove they took sufficient steps in their KYC process, then sanctions and penalties and possible criminal charges could follow. This highlighted the need to all of having stringent KYC procedures in place. We know that up to £90bn is currently laundered in the UK, and AML/CTF is one of the top priorities for the Home Office. As such it was of no surprise that the topic was again highlighted by the Law Society as being of great importance. In order to avoid the risk of potential sanctions moving forward, it is clearly in the best interests of law firms to have a robust KYC procedures in place and this was stressed by Law Society President Robert Bourns. Of particular interest for those of us attending from Encompass was what would be welcomed warmly is a method of onboarding clients without having to constantly revisit them for extra information, and this was mentioned repeatedly. There was a clear nervousness amongst attendees that the profession could be seen as the professional enablers of crime, and the inherent damage of reputation this could cause. Naturally, therefore, there needs to be a real emphasis on changing this through clear KYC policies. As part of the client onboarding process and closely linked to that of PEPs is that of identifying a client’s source of wealth. As with PEPs, it is critical to identify a client’s source of wealth before onboarding them. The question for law firms is how and when to ascertain the information at the most pertinent point? Should then, firms ask these questions at the very start of the onboarding process? And what questions should be asked? There were no easy answers to these points, but more exploration is definitely required. It often gets overlooked, but just as important for law firms is for them to be able to successfully remediate clients as well as simply being able to onboard them. We know that some clients require remediated every six months, while for others, it can be over the course of several years. The panel discussion centred around the question of how often and what degree of client interaction is required in the remediation process. There was general agreement that one central individual should be responsible for ensuring that clients are remediated at the right time and for the right reasons. It was also agreed that using a central person would make it more manageable in the case, for instance, that the client had been a conveyancing client and was now working with the commercial team. At the moment, there was no consensus on how often this was in fact happening, with several in the room offering different answers. There was also a conflict in the poll of delegates when asked if a client changes circumstances, would a Partner inform the relevant department or the MLRO? Again, consensus on this subject needs to be reached. What was really pleasing about this particular conference was that as well as a number of questions being raised, there was also a lot of good solutions proffered. A number of the issues raised we have discussed internally within the Encompass team, and in this fast paced environment where compliance regulation changes at a very rapid pace, we’re aware that there are yet more discussions to be had. This conference however, did an excellent job of highlighting some of the key issues that are being faced by law firms in the AML/CTF field. 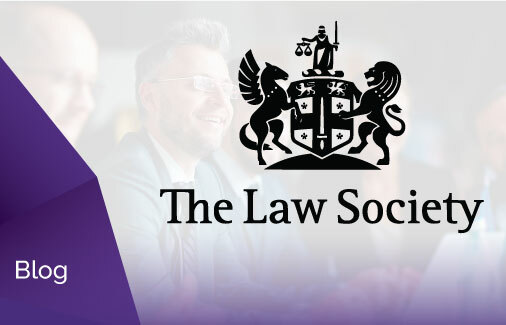 For more information on events hosted by the Law Society, please follow this link.